Community Tree Planting | Save It! 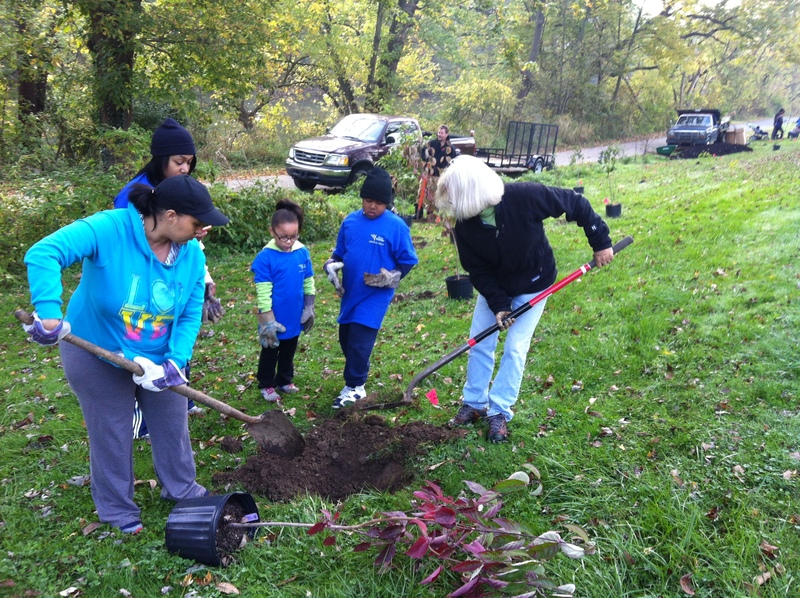 360 trees were planted in one morning on November 12th, in a riparian buffer along the Conestoga River. After receiving grant funds from the Alliance for Chesapeake Bay, a large group of volunteers came together from across the community to get the job done. The Lancaster Tree Tenders, the City of Lancaster staff, as well as the Franklin and Marshall College Softball team all lent a hand to plant the trees which were donated by Donegal Trout Unlimited and Penn State College for Agricultural Sciences. 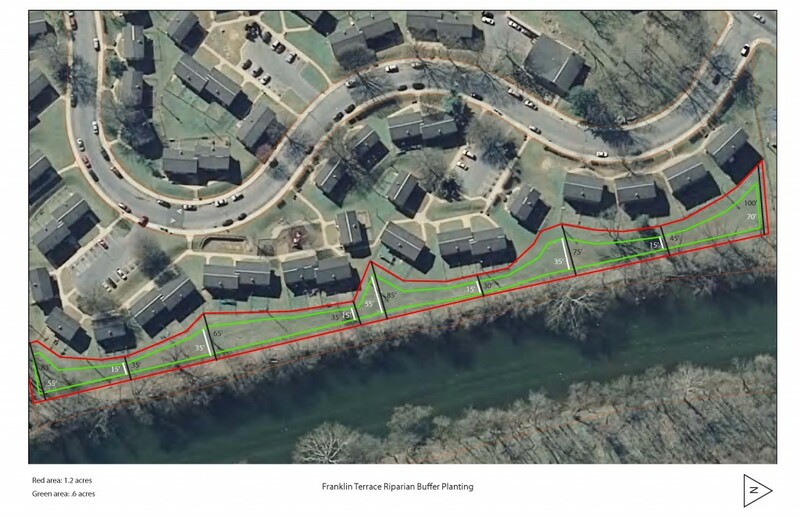 The Lancaster County Conservancy Urban Greening program recently completed a riparian buffer planting along the Conestoga Greenway and River in Southeast Lancaster City. The purpose of the planting was two fold: 1) Increase the canopy in the neighborhood from 32% to close to 50%, creating a model for other neighborhoods. 2) Educate local residents and students about the many benefits of trees. For details and images from the planting click here. Over 60 volunteers from the neighborhood, McCaskey High School, and Alcoa assisted Lancaster City Housing Authority staff and volunteers in completing the planting. In addition to the 1 acre riparian planting 40 street trees were installed last fall bringing the total to 165 trees on this 13 acre proprty. As the trees mature they are expected to intercept 400,000 gallons of water and reduce CO2 emmisions by 65,000 lbs both on an annual bases. The Lancaster Tree Tenders in partnership with Neighbors United planted 28 street trees in the Northeast neighborhood of Lancaster City in October of 2015. Thanks to UGI, TreeVitalize and the Lancaster Rotary the trees were planted free of charge to residents. The planting also brought the local community together, gathering forty-eight volunteers across eight different community groups. The City of Lancaster’s Bureau of Stormwater Managment with the help of the Lancaster Tree Tenders and the Director of Urban Greening at the Lancaster County Conservancy looks to secure sponsors and funding for additional free street tree planting initiatives through different neighborhoods in the city as part of the larger goal of the city’s green infrastructure plan to increase the urban tree canopy. To learn more check out our All About Trees section. If you are interested in a street tree planting project please fill out the city of Lancaster’s Street Tree Planting Request Form.